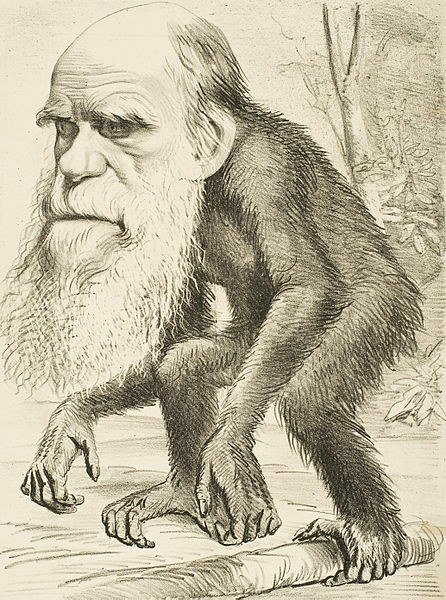 The phrase ‘science falsely so called’ in 1 Timothy 6:20 would likely be refering to evolution. To be "willingly ignorant" implies that a concept is known but that it is rejected and ignored without serious consideration. 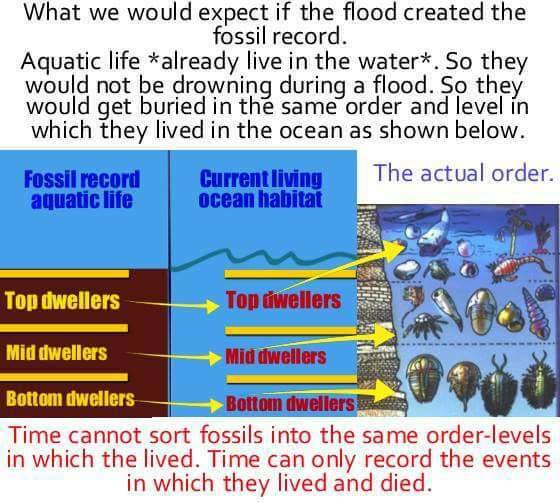 They know of the biblical flood, but they refuse to open-mindedly investigate the evidence for it. See my articles on global flood evidence here and here. 1. 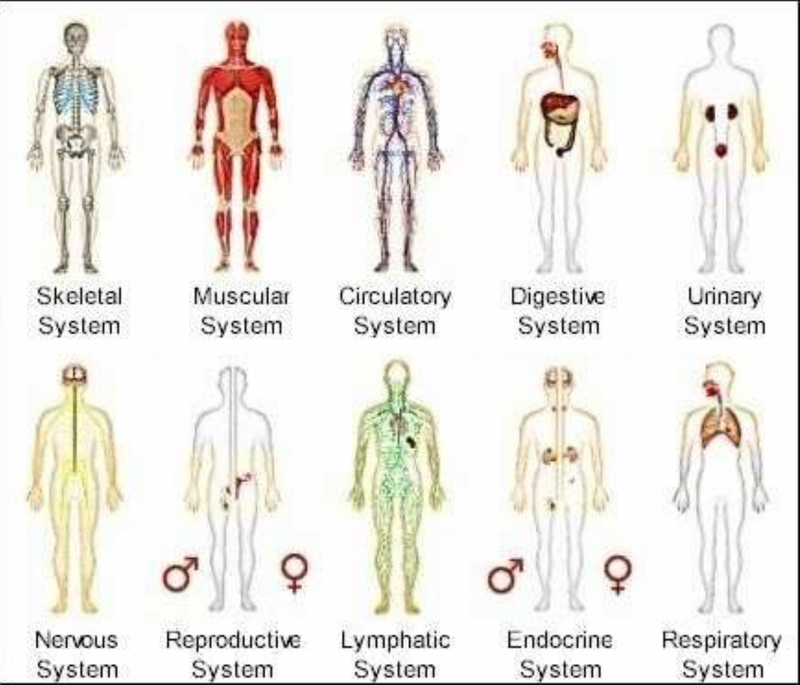 The human body systems prove evolution wrong. 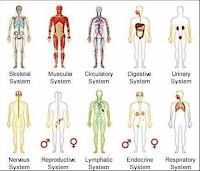 There are 10 interdependent systems that exist. 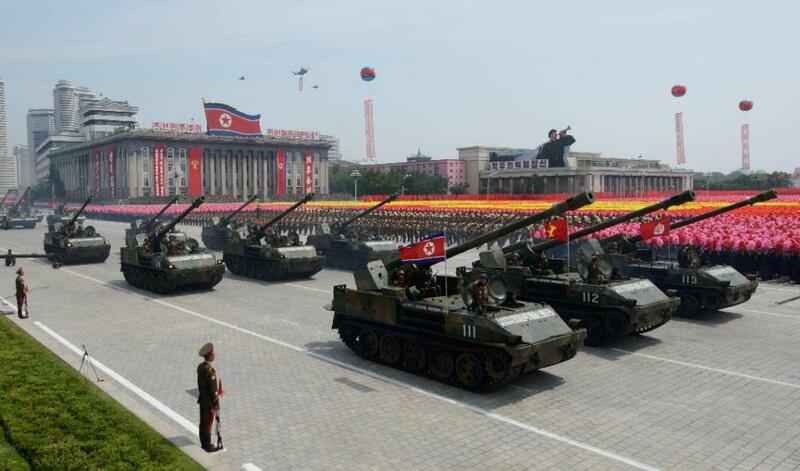 All of which cannot work unless the other 9 are already functioning. So which ones evolved first and why and in what order? 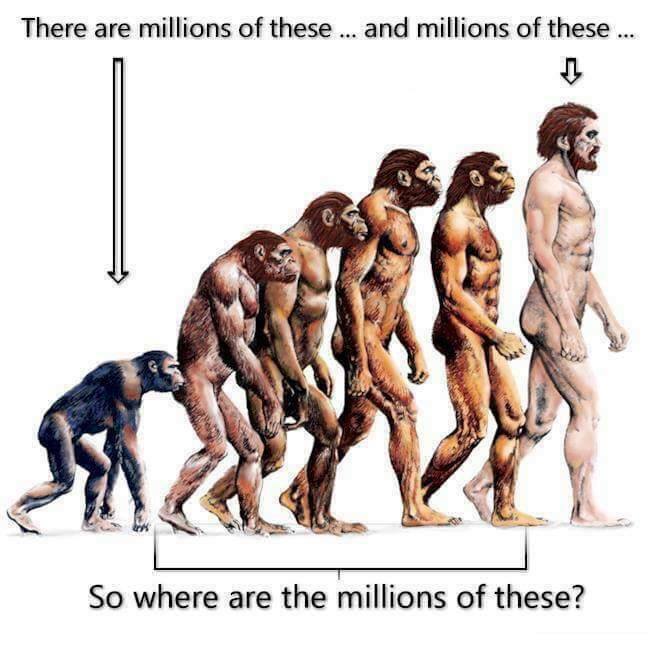 And how would any of them function or even exist until the others evolved? 2. No one has ever observed evolution, there are no transitional fossils at all, see my article on the missing transitional fossils here. Evolution either has to be drawn, illustrated, or animated, which means evolution is only true in a virtual world, or someone's imagination. 4. 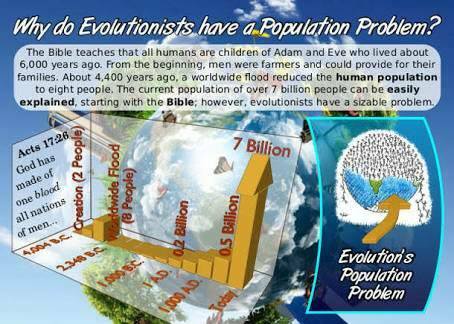 Why do evolutionists have a population problem? Well, let us start in the beginning with one male and one female, and assume that they marry and have children and that their children marry and have children and so on. And let us assume that the population doubles every 150 years. It should be noted that this growth rate is actually very conservative. In reality, even with disease, famines, and natural disasters, the world population currently doubles every 40 years or so. 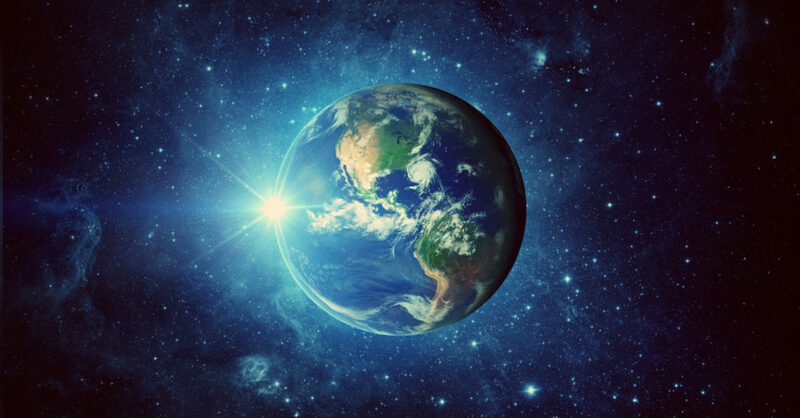 After 32 doublings, which is only 4,800 years, the world population would have reached almost 8.6 billion. That’s 2 billion more than the current population of 6.5 billion people! 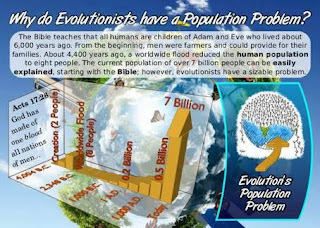 This simple calculation shows that starting with Adam and Eve and assuming the conservative growth rate previously mentioned, the current population can be reached well within 6,000 years. They refuse to even discuss this subject. 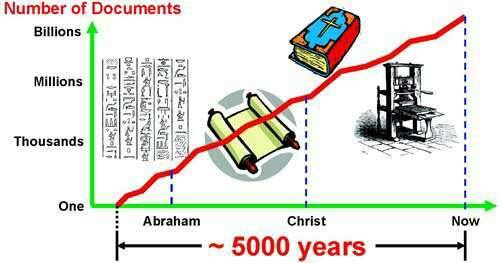 But the evidence is there and it raises many questions evolutionists do not want to address. All because this evidence destroys their worldview. 5. The Coelacanth fish was touted to be a transitional form with half-formed legs and primitive lungs, ready to transition onto land. This myth was exploded in December, 1938 when a live Coelacanth was caught in a fisherman’s net off the eastern coast of South Africa. It is now known that the natives of the Comoro Islands had been catching and eating the fish for years. It did not have half-formed legs or primitive lungs. It was simply a regular fish that people thought was extinct. Evolutionists claimed the 350 million-year-old Coelacanth evolved into animals with legs, feet, and lungs. 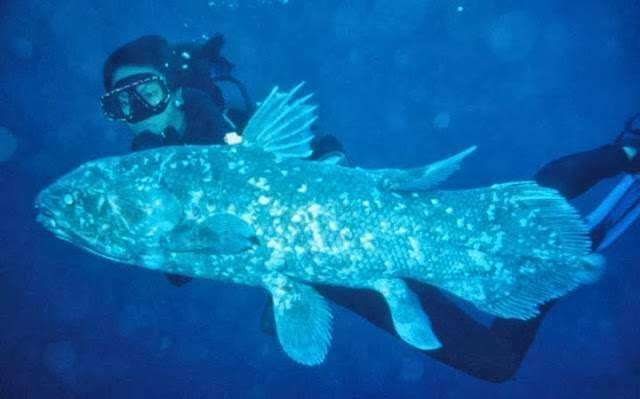 The Coelacanth is a star witness against the false theory of evolution. After 350 million years, the fish still doesn’t have a leg to stand on. 6. The universe is slowing down to a lower state, not higher. The genes of plants, insects, animals, and humans are continually becoming defective, not improving. Species are becoming extinct, not evolving. Order will always move naturally towards disorder or chaos. The second law of thermodynamics proves that organization cannot flow from chaos. 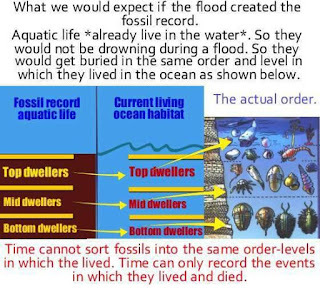 Complex live organisms cannot rearrange themselves into an organism of a higher form as claimed by evolutionists. This is scientifically backwards according to the second law of thermodynamics, which has never been proven wrong. 7. The usual evolutionary picture has men existing as hunters and gatherers for 185,000 years during the Stone Age before discovering agriculture less than 10,000 years ago. Yet the archaeological evidence shows that Stone Age men were as intelligent as we are. It is very improbable that none of the eight billion people should discover that plants grow from seeds. 8. According to evolutionists, Stone Age Homo sapiens existed for 190,000 years before beginning to make written records about 4,000 to 5,000 years ago. Prehistoric man built megalithic monuments, made beautiful cave paintings, and kept records of lunar phases. Why would he wait two thousand centuries before using the same skills to record history? Back in 1770 they taught the earth was 70,000 years old. In 1905 they said it's 2 billion years old. By 1969, they went to the moon, they brought back moon rocks and said: “Oh, they're 3.5 billion years old.” That was the official age; 3.5 billion. Today they say it's 4.6 billion years old. This, of course, is an admission that the foundation of evolution is not science, but a rejection of the supernatural. Evolution then is simply the best alternative anyone has been able to come up with. This also means that evolution is the only field in science where one decides on the answer first, and then looks for evidence to support that predetermined answer. See my article on, Top 20 Questions to Ask an Evolutionist, here. See my article on, Where are the transitional fossils for evolution?, here.